"He has been calm and the backroom staff have been a different class," said the Scotland captain. "They are the team behind the team and they are the ones who keep us going and positive. "When people say he is nervous or we are nervous it couldn't be further from the truth. He's probably been more 'smiley'. He is just trying to get us going and it's obviously worked. "In terms of the players, we've not seen any difference in any of the staff and that feeds into the players and we've not changed. Whether we draw, win or lose it doesn't change." 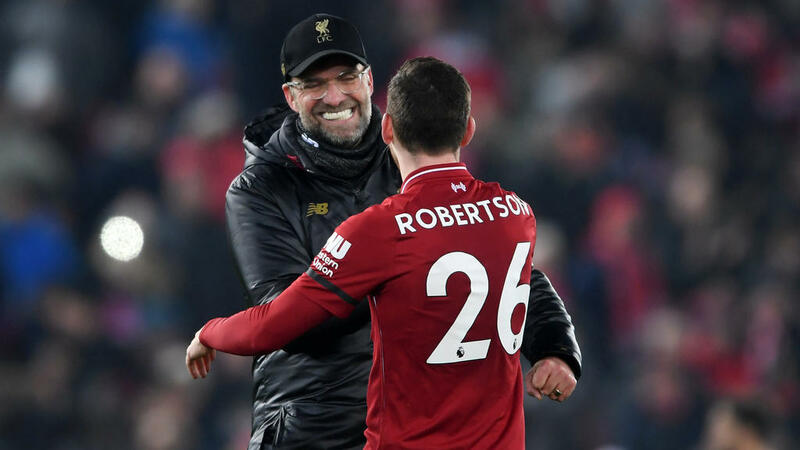 "I don't think it's a message to any other team or anything," said 24-year-old Robertson. "It's maybe a message to our fans and everyone connected to the club that we're here. "We fought for everything and got the result that we needed."